When I turned on my Kindle before going to bed last night my heart sank when I saw the screen wouldn’t redraw properly and that my screen was probably broken. Yesterday my Kindle was involved in an unfortunate accident. I take full blame for what happened. I called Amazon’s customer service today to see what they might be able to do for me even though the broken Kindle was my fault. The problem was certainly not a manufacturing error but an error on my part. The rep on the phone took the information about my device and what happened. I told her that the Kindle was in a box that got hit by a large object. The Kindle was the only thing in the box that was damaged (thankfully my computer survived) and there was no physical evidence that the device was harmed in any way other than the screen would not redraw. The kind rep (who spoke fairly good English) said that Amazon would allow me to buy a replacement device for $65 (which is 1/2 the price of a new Kindle Keyboard with the same features). To me that was more than fair since I am the one who broke the Kindle. It was not a manufacturing flaw in any way. However, I don’t have $65 at the moment and told her that. She said it would be flagged in my account if I wanted to buy a replacement at any point in the future I could get the reduced price. Amazon was more than fair and the story should have ended there. However, I searched my account and found out that my device was out of warranty by 5 days. Certainly that should not make a difference. They had no obligation to do anything for me, yet they offered me a 50% discount on a new unit. But…seeing that it was only 5 days out of warranty, I wondered if it would make any difference if I pointed out to them that the warranty just expired (knowing full well that even under warranty my mistake should not be covered). I jumped back onto the Amazon site and, instead of calling this time, I used the live chat feature. I quickly explained my scenario to the rep. Upfront I told him that I thought Amazon was more than fair to offer a new Kindle for 1/2 price and that the problem was one that I caused. At no point did I try to hide the fact from them that I was at fault. Then I asked him if it would make any difference if my Kindle was still under warranty. Without answering my question he asked me to do a couple of tests on the device to determine if it was really broken (if he could see it he wouldn’t question its brokenness). I patronized him. I then said that I knew Amazon had no obligation to replace the device and that 50% reduction for a new Kindle was more than generous. But I also knew that Amazon was a kind and thoughtful company. Would they consider replacing the unit for me. Without hesitation the rep said he would send me a new one. He just needed a few bits of information to proceed. I excitedly provided the info he needed and he told me that a unit would be delivered by Monday. I got an email from Amazon later in the day today (Thursday) telling me that my new Kindle had shipped and that it would be delivered at my house tomorrow (Friday before the proposed Monday delivery). Will they do this for you? I don’t know, but if you have a broken Kindle it certainly doesn’t hurt to ask. I think the biggest thing in my favor was that I didn’t demand anything from them and I didn’t try to pretend that the screen just broke on its own. I was pleased with my recent encounter with Amazon. We had purchased a keyboard from them in November, the warranty was up in January, in March our keyboard quit working. When the keyboard was taken apart by someone there was a few drops of brown liquid rolling around inside. I sent the keyboard back to them with a note saying that it quit working. I never expressed the opinion that it was their fault or our fault, just that it was not working. Within a couple of hours of it reaching their facility, I had an email from them giving me a refund minus $5.30, which I thought was more than fair. I promptly ordered the exact same keyboard. But in the meantime the keyboard had gone up in price $5.00, so I was out $10.00, but I was a happy customer. I have only had a few contacts with Amazon customer dept but I have been more than satisfied with their performance each time. My Kindle broke too and it was out of warranty. However, the best they could do is a $15 discount on 2 types of Kindles. Disappointed. I would disagree with Amazons excellent customer service! This product is faulty would never recommend anyone buying this product! If you want something that works for a year and half and then breaks after your warranty has expired then go ahead and buy this! Otherwise stick with paperbacks. Although I loved my kindle first off, due to the benefits of having lots of books that you can choose from, and at a reasonable price! However this was a false economy on my behalf. Unfortunately I woke up today and the screen is now not working, half of it has the book, whilst the other half of it has the screen saver. Amazons answer, warranty has finished, buy a new one at a slightly discounted rate! Buy a new one, at this rate my books that I have purchased over the past year have worked out to have cost me £13 per book. If I now purchase another one then this will make the average price of a book cost £19. Unfortunately I am not alone in this, out of my office of 100 people, only a few people own a kindle, yet 1 person has had the same thing happen to them. If you scan the internet you will also see many people who complaint about the product doing this. How can this be Amazon? Your kindle product is faulty, and you expect me to buy another potentially faulty product that is known to break, and yet you have no acceptable after sales! So to exaggerate my point a little further, you buy a car that has three years warranty on it, then six months later I have no option but to replace the whole car, because there is no other way of fixing this problem! 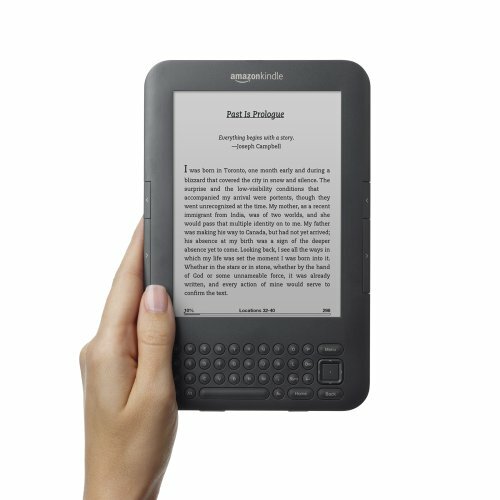 The kindle is a great idea, but will never purchase another one! Will stick to good old paper in the future… Hope that you share this with all of your friends, I will certainly be telling everyone that I know! Just wanted to confirm that Amazon honored my one-year warranty and replaced my Kindle that I damaged (compression damage to the screen). They were very efficient and helpful. They didn’t send me a new kindle and I’ve only had it 3 months very dissapointed! My kindle is dying. I bought two. The warranty has expired. What options do I have??? The only option is to call them. They certainly have no obligation to help you out, but I suspect they will offer a discount on buying a new one if you ask nicely.